Last week’s analysis of gold expected choppy, overlapping movement for the continuation of an intermediate degree fourth wave correction, which is pretty much what we have seen. It is too early to be certain of what structure is unfolding for intermediate wave (4), but it is most likely that it is incomplete. 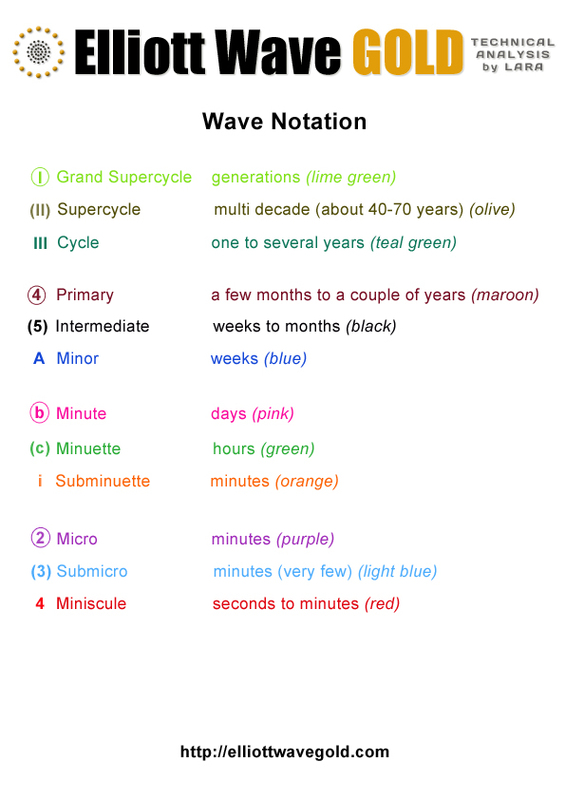 Within primary wave C intermediate waves (1) through to (3) are complete. Intermediate wave (4) may last about three to six weeks, depending upon what structure it takes. Intermediate wave (2) lasted three weeks and was a deep 66% zigzag. Intermediate wave (4) may last three or more weeks and is most likely to be a relatively shallow flat, triangle or combination. Intermediate wave (4) may end at either the 0.236 or 0.382 Fibonacci ratios. When there is more structure within this fourth wave to analyse then a target for it to end may be calculated. Intermediate wave (4) may find resistance at the upper edge of the parallel channel drawn here using Elliott’s first technique. Draw the first trend line from the lows of intermediate waves (1) to (3), then place a parallel copy upon the extreme within intermediate wave (3). 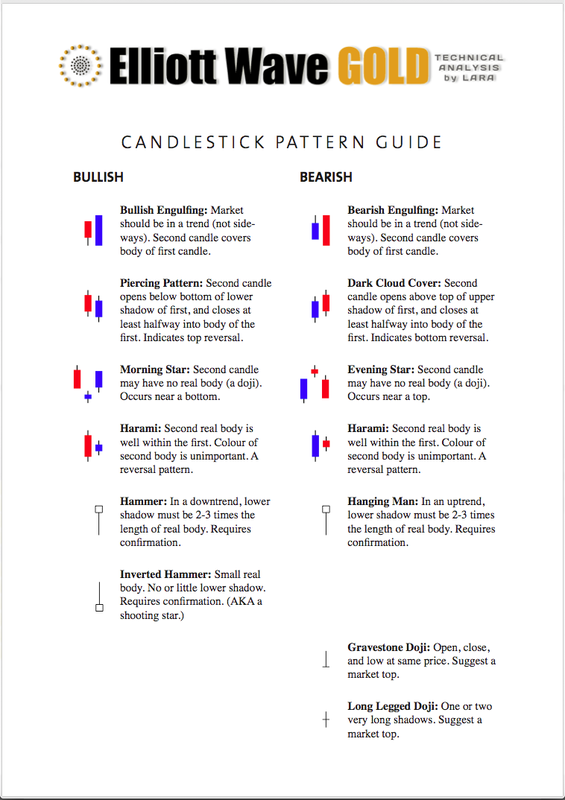 Within intermediate wave (4) movement should be very choppy and overlapping. If it unfolds as a running triangle or an expanded flat then within it minor wave B may make a new low below 1,180.40. At 1,151 primary wave C would reach 1.618 the length of primary wave A. This target is a long term target. When we know where intermediate wave (4) has ended within primary wave C then we may use a second wave degree to also calculate this target, so it may widen to a zone or may change. Within primary wave C intermediate wave (4) may not move into intermediate wave (1) price territory. This wave count is invalidated with movement above 1,672.77. So far within intermediate wave (4) minor wave A may be an incomplete zigzag. If minor wave A is unfolding as a zigzag then it is termed a “three”, which indicates either a flat or triangle unfolding for this fourth wave. Within minor wave A zigzag minute wave c would reach equality in length with minute wave a at 1,296. If price gets up to this first target and the structure of minor wave c is incomplete, or if it just keeps going through this first target, then the second target is at 1,349 where minor wave c would reach 1.618 the length of minor wave a. 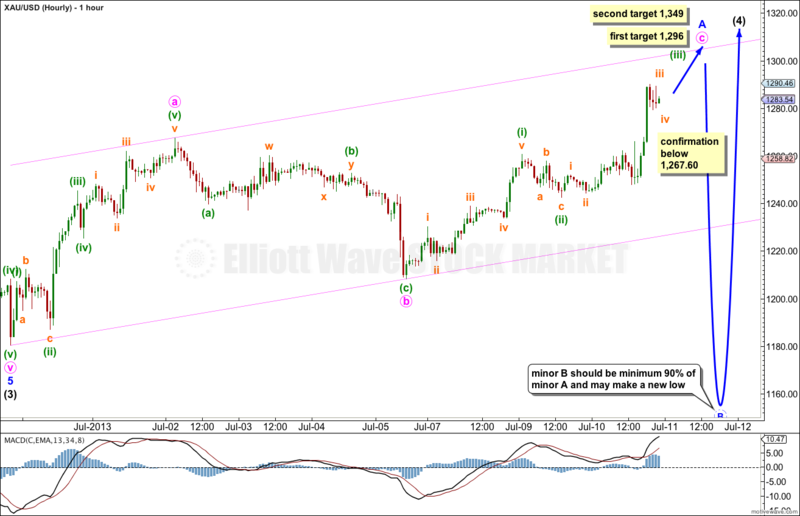 Thereafter, minor wave B should move to at least 90% the length of minor wave A and may make a new low. If the next movement downwards moves below 1,267.60 then the upwards movement labeled minor wave A will be confirmed as a complete three wave zigzag because at that stage downwards movement may not be a fourth wave correction within a new impulse unfolding upwards. If the next movement downwards which is expected to be minor wave B fails to reach a minimum of 90% the length of minor wave A then a double zigzag or double combination may be unfolding. At this stage it is too early to determine exactly which structure is unfolding for intermediate wave (4); it may be a flat, triangle, double or triple. When the channel about minor wave A is clearly breached by downwards movement we shall have an indication that the upwards zigzag is complete and the next wave downwards is underway. When this current five wave impulse upwards is complete then the next downwards movement will illustrate what structure may be unfolding for intermediate wave (4). If the next movement breaches 1,267.60 then the upwards movement labeled minor wave A must be a completed three wave structure and intermediate wave (4) may be a flat, triangle or double. If the next downwards movement does not reach below 1,267.60 then minor wave A may be unfolding as a five wave impulse and intermediate wave (4) may be unfolding as a zigzag. Intermediate wave wave (4) may not move into intermediate wave (1) price territory. 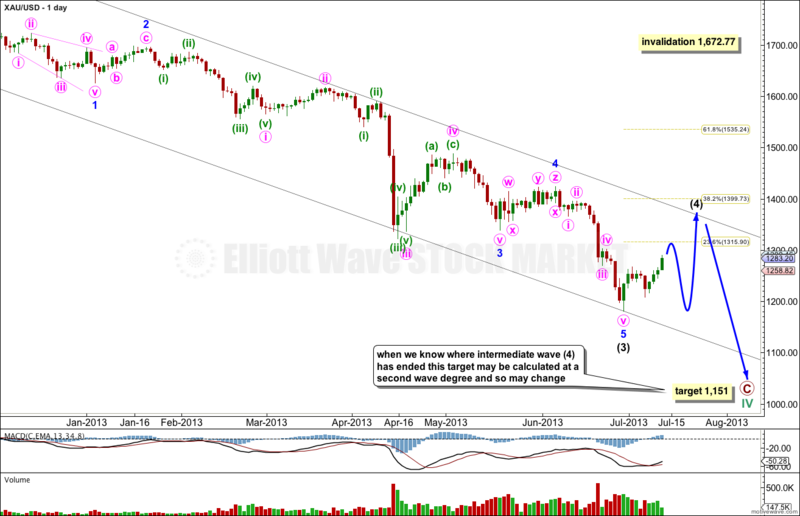 This wave count is invalidated with movement above 1,672.77.